We were very excited to host the team from Abel & Cole this summer when they visited us for a tour of our watercress farms. As well as being able to show them the crops in for the next few weeks, this gave us an opportunity to create a range of videos covering topics from how we grow our watercress, the best ways to use it, to some of the challenges a farmer faces. These will be launched over the next few months as well as a range of photographs to share with our customers....watch this space! Anne, Oli and Frank from Abel & Cole joined James and TWC Dorset Production Manager Gabby to discover how watercress production is unique, why we farm in Dorset for the summer and Jerez, Spain for the winter, and what makes watercress stand out from other salad leaves. James & Gabby. take 5 for a photo....we think this one is a keeper! It all starts with our water; when it rains around our farms, water slowly percolates through the natural chalk layer below our soils. Over time this water builds up into what's known as a "confined aquifer" which is essentially a large, natural body of mineral-rich spring water held underground. This water is under pressure due to being continually topped up and can be released at natural faults in the rock known as artisan springs. It's here that farms in Dorset have been established since the 1800's diverting this potable, pure water through watercress beds before returning it to the watercourse and into the river. Our spring at Waddock can be seen from our viewing pontoon. In the video below, filmed with an underwater camera, you can see the water bubbling up from the ground....it still amazes us and the team from Abel & Cole were just as impressed! Being right at the tail-end of the heatwave, the farm boundaries and surrounding fields were the driest many of us can ever remember (we won't detail which of our team was farming in 1976.... ). Fortunately our springs enable the crop to stay cool and hydrated during periods of hot weather in the summer. It's similar when the weather is freezing during the winter, especially when heavy frost or snow is on the surrounding areas, as our watercress beds become oases of green. During winter/ late spring the lush, green beds encourage UK resident birds, and a range of migrating species, to take a well-earned break before heading North. In the summer this can also mean very high levels of hungry insects who seem to love watercress almost as much as we do. As James mentions, we are in our regrowth period for watercress at the moment whereas in the spring and early summer our crops are seedling. Watercress is referred to as a long-day (or more accurately short night) flowering plant. This means it takes a reduction in the number of hours of darkness in each 24-hour period to induce flowering. Long-day plants typically flower in the northern hemisphere during late spring or early summer as days are getting longer. Here the longest day of the year is on, or about, 21 June. After that date, days grow shorter (nights grow longer) until 21 December. Watercress used to be seasonal and harvested as a winter crop due to its natural response to change in day/night length in the spring triggering the flowering response. British growers would cut or pull crops throughout the autumn, winter and early spring with production shutting down late spring and summer. These days and since the 1950's / 60's we have turned the industry on its head by producing seed-grown crops from the spring and throughout summer while reducing production into the autumn and winter. Now synonymous with summer in the UK the first seedling crops are harvested in late April/ early May. The crop is cut once, roots removed and composted and then the bed cleared out and re-drilled with a fresh crop. From the end of July we move into "regrowth" (cut and come again) crops, mentioned by James in the video, after the flowering response has left the plant. Throughout the UK season though, flowers may be found in our watercress. This is nothing to worry about and unlike other crops, where flowers indicate a plant may be past its best, watercress is unaffected by the flowering; if anything watercress with flowers is even more deliciously peppery! The flowers themselves are white, delicate and edible and increasingly chefs are looking towards edible flowers to liven up a dish. 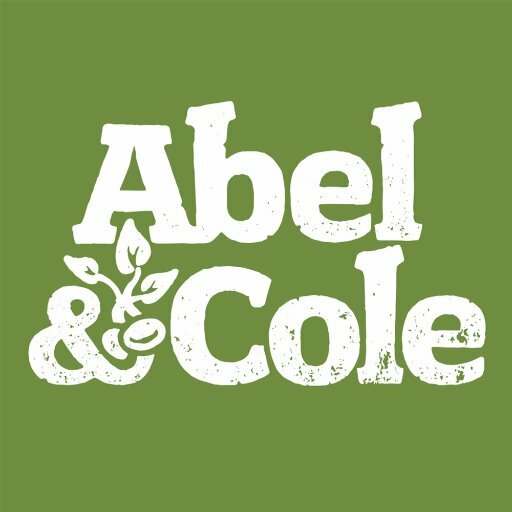 The team at Abel & Cole sometimes get questions about flowers so we were delighted to be given the opportunity to discuss them. It was fantastic to welcome the team to Dorset. Why not try a box from them and add our bags as an extra?